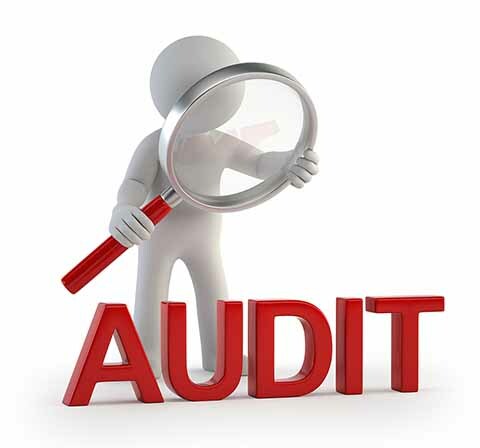 Audits are standard in both personal and business finance, but in many ways, life audits are much more crucial. That’s because life audits evaluate well-being not just in one area but in basically everything. They can mean massive changes to relationships, work, activities, and even what you put on your plate. If you haven’t conducted your own life audit, these are some of the top questions you need to be asking yourself. • What are my assets and liabilities (not just things but also personality traits, skills, habits, etc.)? • How could I be kinder to or support myself? • How could I be kinder to or support others? • What would I still like to learn and how could I do so? • Do I have one to five good friends I can trust and count on? • Do I feel energized, neutral, or let down about my work? • Am I in good health or pursuing it to the best of my ability? • Do I spend my free time doing a variety of enjoyable activities? • What emotion is dominant for me? • What do I get excited about consistently? • What core principles (e.g., honesty) do I have, and how does my way of living reflect them? • What would I do with more or less money? • What am I grateful for and why? • What do I regret and why? • How close is what I’m doing professionally to what I dreamed of doing? • Am I consistently challenging myself? • What fears do I have? • What are the top five words I think others would use to describe me? • What are the top five words I would use to describe myself? • Are the motivations behind my original goals still present? • What do I find myself daydreaming about when I’m supposed to be doing other things? • What is my financial or material standard of living, and have I achieved it? • What in my current environment do I like or dislike? • How am I influencing others for better or worse? • Is my income stable? • How is my weight? • Do I feel confident in my appearance? • Do I feel like I have worth? • Can I do most things with independence and confidence? • Am I able to make decisions easily? • Am I able to lead myself and others spiritually? • What goals do I have? • Why didn’t I meet goals I’ve previously had? • Am I engaged in personal development? Life audits aren’t something you need to finish overnight. They’re supposed to make you really consider what you’re doing, where you can improve or have strengths, and what you want or need. That can take some time to sort out mentally and emotionally. So if going through these questions takes you a while, you’re probably on the right track. You don’t have to look at these questions in any particular order, either. Just be honest with yourself for each one, have determination, and commit to moving forward.